New federal tax laws that went into effect on January 1 have eliminated the deduction for alimony on federal income taxes. What was once seen as a major incentive for the payment of spousal support is now gone for couples considering divorce. This change in the law, as well as other federal tax law changes, has the potential to significantly affect divorces in Florida over the coming year. Steve W. Marsee understands the impact of the new tax laws and can help you navigate your divorce case in the Orlando area. Alimony, also known as spousal support, is often ordered in divorce cases where one spouse earns considerably more than the other. Payments are made from the wealthier spouse to the poorer spouse during and after the divorce proceedings to support the poorer spouse’s lifestyle and aid in the transition of becoming financially independent. Florida law provides for five different types of alimony that is determined by a number of factors, including the length of the marriage, contributions to the marriage, ability to pay, and the financial resources of both spouses. The payments can be temporary or permanent, depending on the circumstances. Under the old tax laws, the wealthier spouse paying alimony was allowed to deduct that amount from his federal income taxes. The less wealthy spouse receiving the alimony payments would be required to report the income on her tax return. This incentivized alimony in divorce cases because the wealthier spouse was deducting the spousal support in a higher tax bracket and it was being taxed in a lower bracket. Now, with the new laws in effect on the New Year, the wealthier spouse is no longer allowed to deduct alimony payments on his federal tax return, and the receiving spouse is no longer required to claim it on hers. The full impact of this change has yet to be seen, but experts believe that this will lead to significant shifts in the division of assets and payment of spousal support in the coming year. 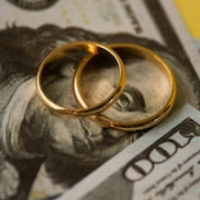 With less incentive to provide alimony, the wealthier spouse may suggest that the poorer spouse keep more in the division of assets, such as keeping the marital home. However, other changes to the federal tax laws, such as capping state and local tax (SALT) deductions to $10,000, may make this a financial trap for some spouses. If you are considering filing for divorce in Florida this year, it is critical that you secure the services of a divorce attorney that understands how these new tax laws might affect your case. If you wish to learn more about how these tax changes might affect you or file for divorce in the Orlando area, call or contact the law office of Steve W. Marsee today. Schedule an appointment with an experienced alimony attorney who will go over the facts of your case and provide you with your legal options for your divorce.